Lensrentals.com has posted their first in a series of MTF charts for Canon lenses, I imagine they’ll post other brand MTF charts as well. 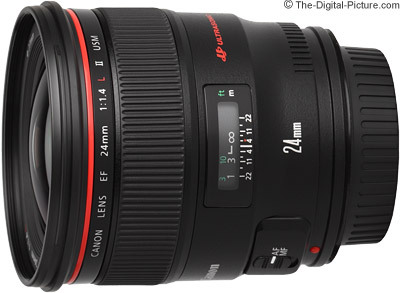 The first release is for Canon prime lenses, excluding tilt-shift lenses, those will be done in a separate article. I know a lot of people like these charts and I know they are helpful to some. A lot of work went into this. I don't find them useful for myself. Glad somebody does find them useful. Yes, beaten by the Sigma 135mm 1.8 at a third of a stop faster. But keep handing-over your $1000 to Canon. I admit to being surprised that the 135mm f2 held up so well, given my experience of it. But still no defence for continuing to churn-out a 30-year-old lens. What about unreliable focusing of a brand new Sigma lens? I'll just wait for the RF 1,4/135 , which won't have any focusing issues, and, in the meantime, enjoy my excellent 30 year-old veteran...whithout any focusing issues. The bashing of the wonderful 135 f/2L is senseless. It's no longer worthy due to its age? How sophomoric. only if you use 60 year old focusing technics in your DSLR. So you need a mirrorless to use the Sigma???? The beauty of photography is that it can be done well with new gear, old gear and homemade DIY gear. One is not better, nor more correct to use than any other. Myself, I prefer a mix. Same goes for technique. I'd take the 135L at $999 all day, every day over the Sigma 135A at $1399. A 40% price premium is significant. It's my favorite portrait lens all day long. Hmmmm... the Sigma wins on the chart, he says? Thankfully, I don't photograph charts. Best lens money I ever spent. My problem is always never quite getting DOF deep enough, but that's not the len's fault. These photos are amazin, congratulations! I had always felt that the L version of the 100F2.8 macro was significantly better, despite being told by many that the only real difference was the IS. These charts show a significant improvement! My surprise from the charts is the 40F2.8. For the size and cost of the lens, that's incredible! I used to have that lens (40mm f/2.8). It was really a nice little lens, but I never used it much. Once I got the 24-70 it never got used again, but just because the zoom is more versatile. Canon makes some really nice lenses. Canon's zooms are so good. I've never owned a Canon macro lens, unfortunately. how does one read these charts? Do a search for MTF Charts. Its far to complex to explain how to read them. Higher is better, the resolution goes from the center of the lens on the left to the outside edge on the right. Macro lenses and copy lenses want a flat line, for portraits, many want the center sharp and the edges softer. I don't care about that Sigma, or any Sigma. I said that the old 135/2L is fabulous according to the chart. And in real life too. 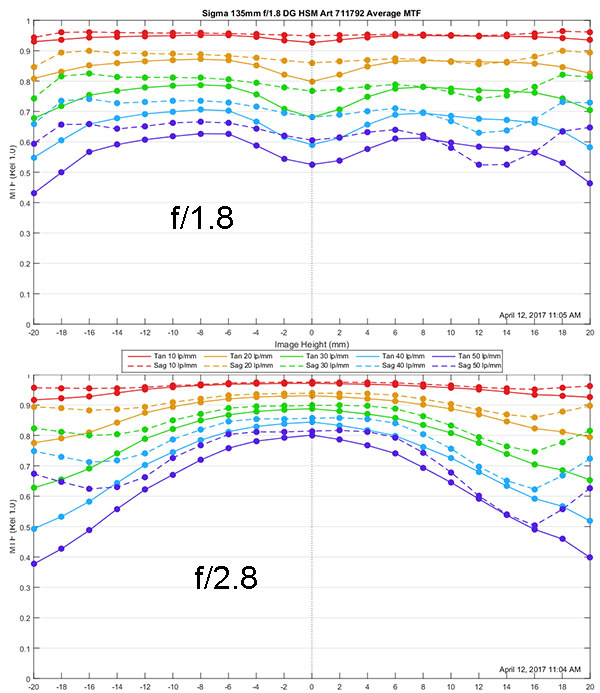 View the MTF Average test results delivered by the Canon EF 24mm f/1.4L II USM Lens using the ultra-high precision Trioptics Imagemaster MTF bench. Compare the MTF results of this lens with other lenses. Stopped down data for the 24 mm L II but not the 50 mm L. Also, some of the Sigma data seems to be missing. Just trying to see if there is a useful link where I can use the data for apples to apples comparisons.